The plans in place to further reduce the already limited testing in Formula 1 are bad for the sport. Here is our round-up of the reasons F1 needs more testing and not less. Cast your mind back to when in-season testing was commonplace. Remember the excitement of ‘spy shots’ from testing? Trying to work out what a new wing is for or simply admiring interim liveries (those beautiful McLaren orange ‘homage’ paint jobs)? Pre-season, the fever that came from seeing drivers testing for the first time in their new car? 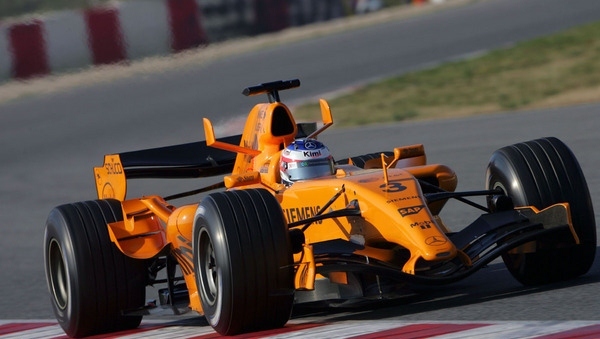 Classic McLaren orange livery on Kimi Raikkonen’s car. Peeking behind the scenes was not the only upside of testing, it tossed up wonderful stories and sub-plots. Rumours would emerge about Schumacher taking the upgraded Ferrari round Fiorano in a new lap record or McLaren running a ridiculous 120 laps at Jerez without a single failure (ironic I know). This is what filled the downtime between races and fuelled collective passion for the sport. 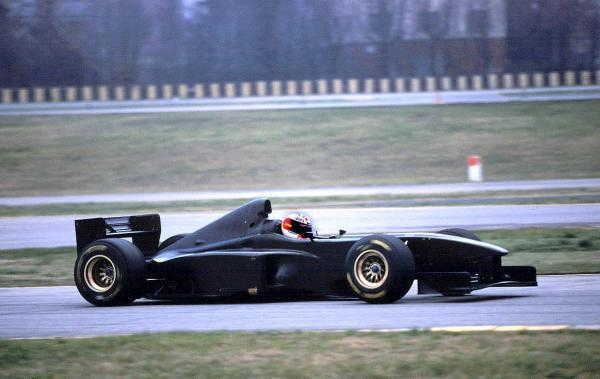 Schumacher testing at Fiorano in the famous black livery. In our world of instant news and up-to-the-minute reporting via social media, F1 as a sport is missing a huge opportunity. Fans of all sports now demand constant information but not just any information – information of value. Pictures of Lewis Hamilton’s ‘interim’ hairdo are not what should be peaking interest amongst fans during a break between races. Testing would give the sport a ready-made, valuable filler but not only that, it would fuel the speculation and rumours that create so much of the excitement that has been intrinsic to F1’s appeal. F1 is expensive and elitist. Painfully that is part of its appeal yet testing provided an opportunity to try and rebalance that position. For countries and circuits without a race/unable to afford one, testing was a great way to keep that market engaged and enthused. Similarly, fans unable to fork out to attend races overseas because there is no ‘home’ grand prix could attend test days. Everyone but Bernie Ecclestone is concerned about F1’s ageing fan base and the consequences for the pinnacle of motor sport. Testing creates opportunities to bring in new blood because part of F1’s problem is that you have not really seen it until you have seen it in person. 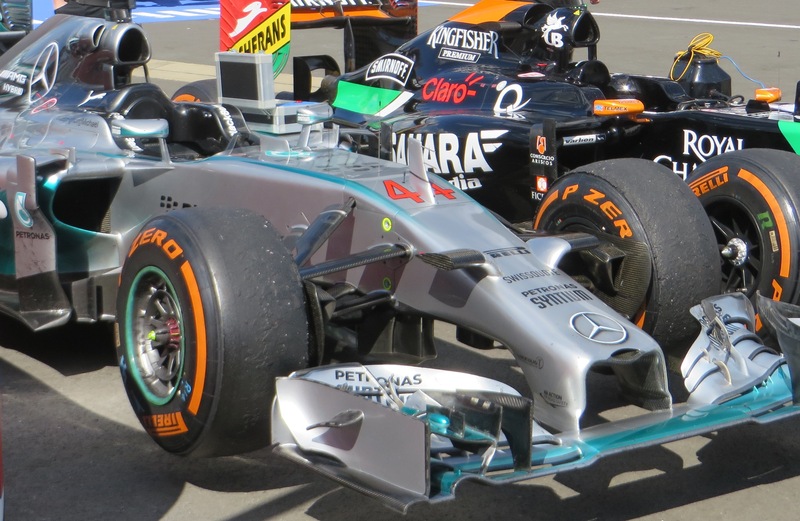 Mercedes and Force India cars in parc ferme. In what world would an uninitiated fan wish to spend big sums on a race weekend ticket to ‘see’ the action? Attending a test for a relatively small outlay with a friend passionate about F1 could. With F1 increasingly adding races due to the depth of a venue’s pockets rather than market demand, testing is a necessary lifeline. Not only to keep fans involved in the sport/draw more in but perhaps to stave off complete decline in those markets under threat. The German and Italian races are on life-support and others are not far behind. It would be terrible if they were to be lost (along with others steeped in the heritage of the sport) but if that is their fate, testing might be the only thing that stops interest in that country going in to terminal decline. The lack of testing is harming the progress of the next generation of drivers. With virtually no seat time aside from Friday running or fairly pointless ‘filming days’, rookies face being written off before they have had a chance. Admittedly Max Verstappen has somewhat blunted this argument but overall, rookies are facing odds increasingly stacked against them. For all the criticism of turbo-hybrids and our new sanitized F1, stepping up to the highest echelon is still a massive undertaking no matter how much raw talent a driver possesses. After a spectacular debut in Australia Kevin Magnussen struggled increasingly during his debut season. Undoubtedly this was a bi-product of his lack of testing and preparation. Whilst he may still get a chance to run again in 2016, his cause is already being undermined by the next hotshot for McLaren, Stoffel Vandoorne. 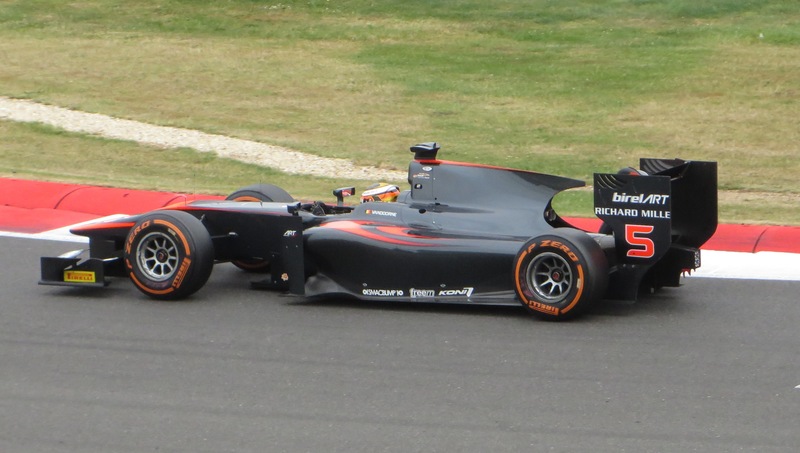 Vandoorne driving in the 2015 GP2 championship. Vandoorne may well turn out to be in the special mould of Hamilton and Verstappen but will still face the same struggles in terms of gaining seat time if he gets the nod for 2016. Exceptional talent, motivation and deep pockets are required to reach the point of even being considered for F1. The lack of testing should not be the reason for the sport to dump young drivers. In the world of Formula 1, there are few things more dis-heartening than seeing a young tester or racing legend tweeting/talking about ‘another day in the simulator’. Reducing a sport that is, by definition, an assault on the senses to drivers sitting in front of a glorified PlayStation is truly sad. 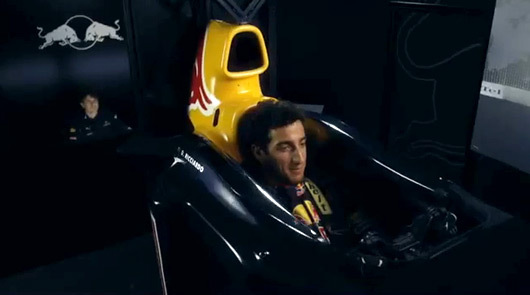 Red Bull Racing’s F1 simulator. Teams may be very comfortable and happy with their respective but simulators they add nothing to the sport. Attempts by some teams to show what happens during simulation runs have actually been counter-productive. Showing just how mundane the process is – drivers wearing polo shirts, chatting away – does nothing for fans. If the question ‘would you like more testing or more use of simulators by teams?’ had been posed during the recent F1 fan survey, the answer would have been a landslide in favour of the former. Less testing seems predestined to happen. However just because it is convenient for the rule makers and organisers does not mean it is the right thing to do.